Barnaby Gold is a performer and educator of many styles. Originally from Australia, Barnaby has lived in the US since 2015. 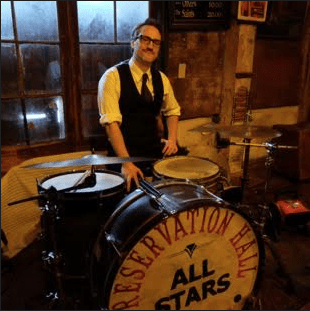 After 20 years of performing, recording, producing, writing, and teaching in Melbourne’s diverse music scene, Barnaby relocated to New Orleans to play with trumpet great, Leroy Jones, and has worked with many more of the city’s fine musicians.